Did I tell you that my car was totaled last month? I was so depressed. I loved that car. Everyone was so excited for me to #1: be alive (really, that is all that matters) and #2: go car shopping. But I don’t WANT to go car shopping! I loved my car, and it was almost paid off. After dealing with the nightmare of insurance companies and proof of total loss, waiting for the check and the rental car fiasco etc, the LAST thing I wanted to do was go out and get harassed by a car salesman. When building (and maintaining) a high credit score, there are several things to consider, and to keep in mind. 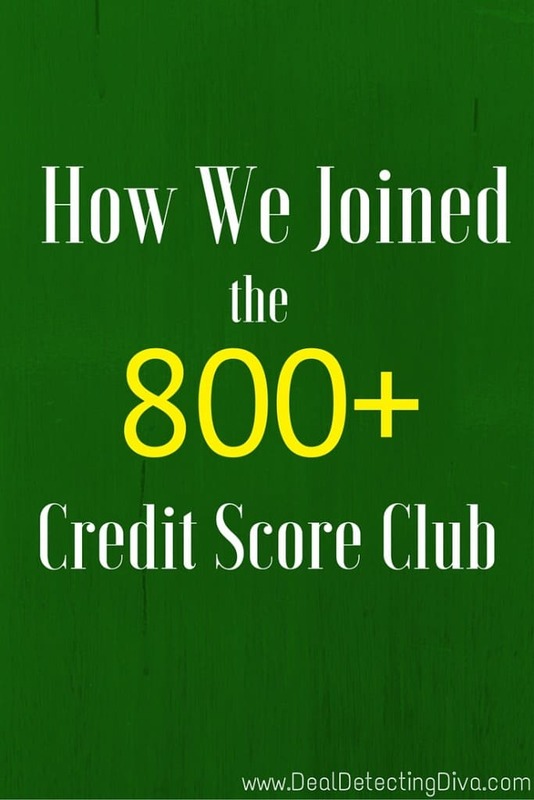 Maintaining that high credit score never ends – although is does get MUCH easier as time goes along. This is number one for a reason. Be consistent with your ON TIME payments. Be consistent with your credit card payments, your mortgage payments, your car payments – everything. This is one of the reasons I suggest staying one month ahead of your expenses. It helps you to schedule and prepare for the next month’s bills. You want to keep your credit used/available credit ratio low. Shoot for 30% or less. See more about credit ratios and why 30% is a good goal. RELATED: Boosting Your Credit Score – Keep your Debt to Available Credit Ratio Low + Oldest Cards Remain OPEN! Checking your credit often does ding your score. How often your credit is checked can make up up to 10% of your score. Try not to check it or to open new lines of credit unless you must. Well, perhaps not size so much as length. The length of time you’ve had good credit matters. Which, is why you need to remain consistent with your timely payments. The longer you have credit cards, car paymetns, mortgage payments in good standing, the better your credit will become. One of the ways Paul and I both have such great credit scores is because we know our limits (figuratively and literally). We know how much we can realistically pay back every month, and how much we cannot. Would YOU loan money to you? That is the ultimate question. By keeping your credit card balances at or below 30% of available credit, by paying your bills on time, by not applying for new credit often (we only apply for something new every few years, if that!) and by keeping our oldest credit lines open and healthy, we are able to easily maintain stellar credit scores. We are in this for the long haul folks! See more of our financial tips before you leave! Nice info. Well I have been seeking help in getting my really bad credit fixed ,so I used google and came across this brilliant and efficient hacker on a blog and he delivered a good job for me clearing my negative collections and late payments,also bringing my score from 540 to 794 just within a few days and I have never been this happy in a while. Anyone who needs credit fix I recommend "Fixcardtech Gmail com" He is very efficient and also offers impeccable customer service too.